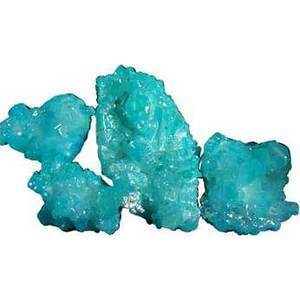 This quartz cluster has been color enhanced metallic bright translucent light blue, which makes it dramatic. Sparkling and glimmering when light hits enjoy for crystal power or display. Due to the many different sizes we are selling them in 5 pound lots.